Sometimes if your in a hurry these little gems can be the perfect solutions to a quick breakfast or company brunch! 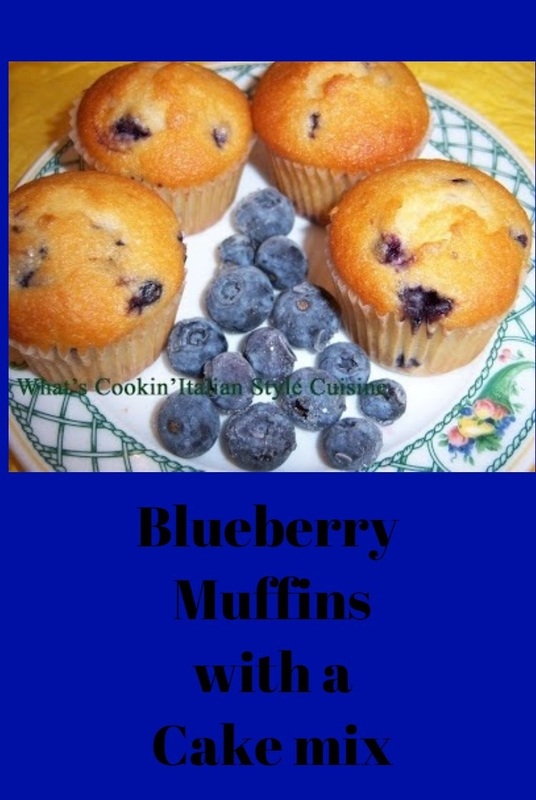 Blueberry Muffins with a Cake Mix are the easiest muffin no fail ever! We just love to pack them up for long trips or they're the perfect for lunch box treats, bake sales and when ever something comes up you are in a huge hurry to make something for someone special for. It doesn't get much easier than this one! Beat everything all together (except for blueberries) until well blended and smooth around 3 minutes with an electric mixer, then fold in the blueberries at the end. 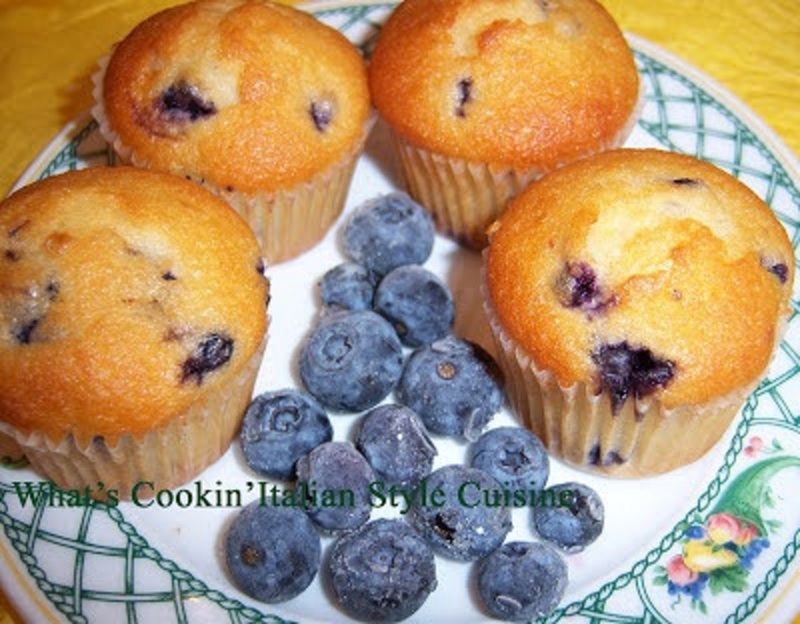 Fill muffin cups 3/4 full and bake 350 for 20 to 25 minutes. Bake at 350 until browned. Easiest ever! If you want to have some variations add some lemon or orange zest around 1 teaspoon. Or you can also add a nice streusal topping by combining 1/2 flour, 1 teaspoon cinnamon, 1/4 cup brown sugar, 2 tablespoon softened butter and 1/4 cup chopped walnuts mixed all together evenly. Sprinkle a little on each muffin before baking. I love using cake mix for a variety of things. It's handy, quick, and always turns out the most moist and tender treat. As much as we all want to cook from scratch, sometimes shortcuts like these really help! Dear Claudia, Using a cake mix certainly does help when time is limited. These look wonderful.